Today is kick-off day for our third YLF Book Club virtual meet-up. 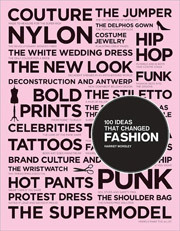 I think it’s fitting and fun we’ll be talking about 100 Ideas that Changed Fashion right after Fall 2012 Fashion Week. The last models exited the catwalk only yesterday, I’m still dazzled by all the rich materials and gorgeous detailing of the collections, and chomping at the bit to incorporate some of the new colours and trends into my wardrobe later this year. In this light it’s extra interesting to read Harriet Worsley’s take on the ideas, movements and inventions that “rerouted the course of fashion and without which womenswear would not be what it is today”. Between 1900 and 2010 the world at large and the fashion industry changed drastically. Quite a few of these changes have had a significant impact on women’s lives, and not just on a fashion level. Think about the freedom of movement knitwear has brought us, for example, or the practicality and mass appeal of jeans. From abandoning the corset, the emergence of the bra, trousers for women, the invention of the zipper, comfortable and affordable fabrics like rayon to disposable fashion and mass-manufacturing, the “rebellious” T-shirt, the internet age and eco fashion. They’re all represented in the book, each with background information and a fab, full-page picture. Anecdotes aplenty as well. For example, did you know that Marlene Dietrich was once asked to leave Paris because she was wearing a trouser suit? A very controversial look at the time! Which garment or style invention do you feel has revolutionized the world of fashion over the last century? Tell us in the comments section, and be sure to drop by the Book Club forum to join the discussion. Quick reminder: On the Book Club page you can find the schedule of previous, current and future Book Club titles. This looks like a must-own, thanks Inge! If I had to boil it down to two inventions Inge, I would say elastic and denim are the most revolutionary. Can you imagine a bra sans the elastic? But really, those fashion inventions are just the tip of the ice-berg and we have a lot to be grateful for in 2012. The fact that women can now wear trousers in public tops my list too. However, I am not overly excited about the casualization of fashion, which becomes stronger each year. At some point in the 20th century, clothing was designed for comfort. Of course, I want to be comfortable! But style have gotten extremely casual over the last 40 years, and that’s not always fab. Amen, Angie. Pajamas in public? Way too casual. I’m getting a late start on this book club choice, but I wanted to add that women wearing trousers, and then jeans, caused a shift in the culture, particularly women’s culture, and provided a sense of freedom that opened up many avenues. It’s nice that the fashion world embraced this change and gave trousers a place in high fashion and street fashion. Soon, there was acceptance everywhere. Footwear is something that strikes me as very changed. And undergarments. I wonder what the book says about Tencel and other more modern fabric additions? It’s fascinating to think of how science has changed fashion! Agreed that main stream is becoming more casual. I want to dress my best everyday even if that includes trousers and jeans! Non-iron materials and knitwear, for sure. They may have helped along casualization but for a busy person they are paradise. This sounds like such a fascinating and informative read, Inge – and sure to stir up a fun debate! My jaw is still on the floor after hearing Marlene Dietrich was asked to leave Paris – crazy! Wow, the protocol was so strict then – how far fashion and acceptability has come. 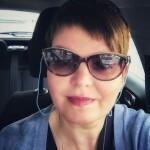 I think disposable, very affordable “fast fashion” is a revolution – good or bad, opinions differ! I’m safely on the fence.